58030 • Tamiya Honda F2 (CS) • (Radio Controlled Model Archive) • RCScrapyard. 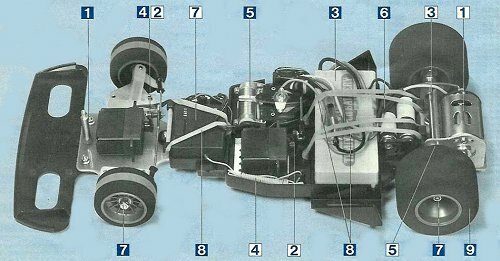 On July 16, 1982, Tamiya released another Formula 2 (F2) model car, based on the F2-CS Chassis. This model was the Honda F2 (CS). This car was not actually based on any specific winning car of the era. 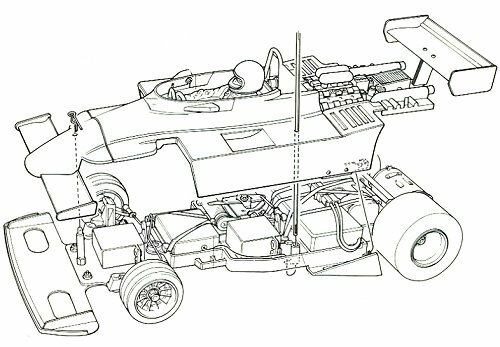 The Honda F2 model with its Competition Special, Fiberglass Reinforced Plate chassis and nylon front uprights, greatly enhanced the cars stability and this, with the RS 540S motor and sponge/duplo tires for grip, allowed the car to handle well when accelerating out of corners and provide precise steering. 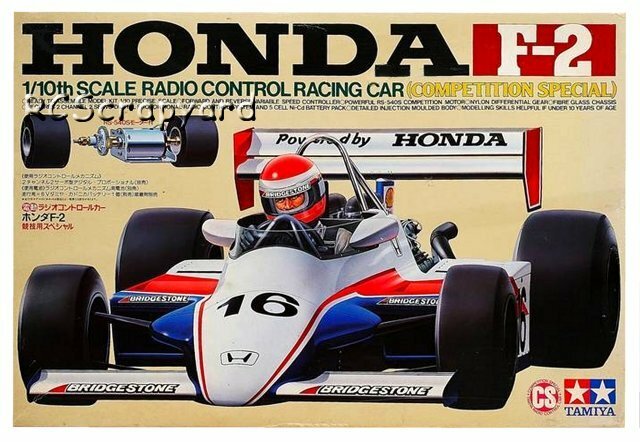 Although rare, the Honda Formula 02 is not that sought after and therefore this is reflected in the price collectors might pay to add to their "Tamiya First 100" collection.